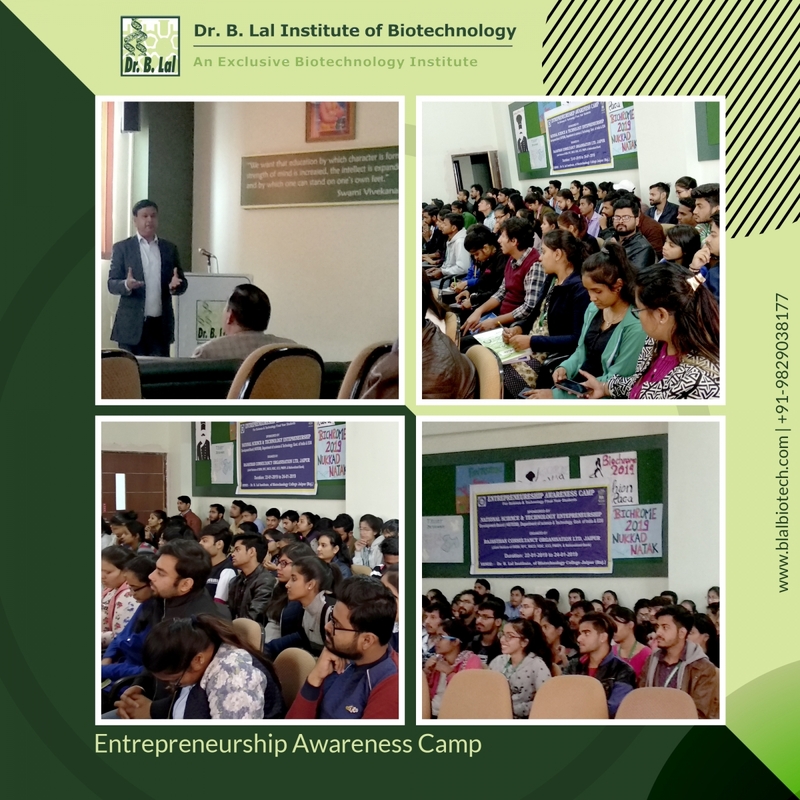 The Rajasthan Consultancy Organization Limited (RAJCON) organized a three day workshop at Dr. B. Lal Institute of Biotechnology, Jaipur to create awareness regarding entrepreneurship as an alternative career option in biotechnology. This workshop received support from the National Science and Technology Entrepreneurship Development Board (NSTEDB), Department of Science and Technology (DST), Government of India. Day 1 was graced by eminent personalities such as Mr Devendra Sharma (Training Head at RAJCON), Mr R.S. Shekhawat (AC District consultant at Rajasthan Skill and Livelihoods Development Corporation) and Mr K.L. Swami (Assistant Director at District Industry Centre). They shared knowledge about various government policies and schemes that support young and fresh entrepreneurs, such as guidance and services offered by the ministry of micro/ small/ medium enterprises (MSME). A. Harshwardhan Zala, who made a device for bomb detection underground at the age of 14. He owns a Drone making company, Aerbotics7. B. Graviky Labs, a group of 4 friends who made ink from the air pollution caused by automobiles by using a simple device. They had the best patent in India. C. Bolland Industries, a renowned company that makes edible plates by fibres is run by a blind man. The lecture on third and the final day of EAC was delivered by Mr Puneet Garg, CA at B Jain and Associates. He rendered a detailed account of guidelines to be followed while preparing project report and the major aspects of financial planning for start-ups.